From Europe, that is the main destination in Turkish automotive foreign trade, SCS Concept will fly to to Instanbul for the WIN Automation fair. From the 19th to the 22nd of March the company will be present at this event with its Turkish partner MESTOOL. 1581 exhibitors from 21 countries, including Austria, Bulgaria, China, Croatia, Denmark, Finland, Germany, Holland, Hungary, India, Iran, Italy, Japan, Portugal, Romania, South Korea, Taiwan, Turkey, UK, and the US will exhibit their products. SCS Concept will showcase the FTY bench, the Freedom3 electronic wrench, and the DataTouch3 and EasyTouch data collectors. For the entire duration of the fair SCS Concept experts will be present, doing demonstrations and giving technical advices. Turkey is the 16th biggest global automotive producer in the world: there are 13 OEMs producing over 1 million units of vehicles yearly. Here are present with their plants Toyota, Fiat, Renault, Hyunday and Ford. In Turkey there are several signs of growth for the Automotive Sector: passenger car demand doubled in 5 years time reaching 600K units and it is expected to grow; value cars will continue to dominate market with a share of ~80% ; compared to Europe and the Middle East, Turkey is an important LCV market with over 200k unit sales. The Turkish government explicitly declares intentions to develop automotive industry. 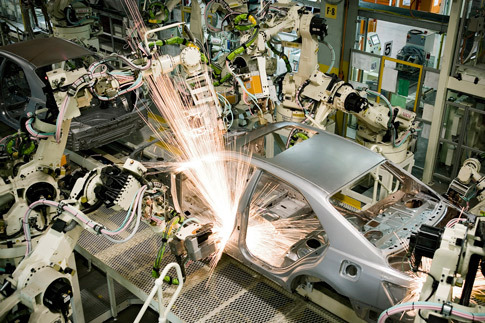 On Hurriyet, journal of The Turkish Automotive Sector, it is written that “Turkey’s automotive industry is showing no signs of slowdown amid the stagnation that is taking hold of the European car industry. New investments, facility upgrades, and model additions are taking place in global car makers’ Turkish facilities, while 58 of Europe’s top 100 car plants are facing serious losses in one of the worst years for the industry in decades”.